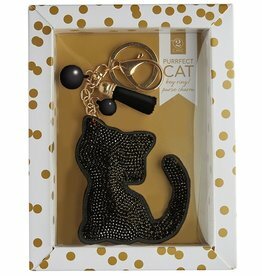 Size: 3.5x6 inches + -. 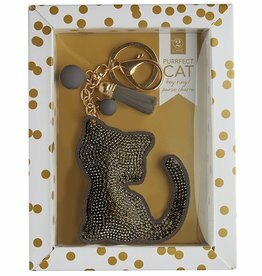 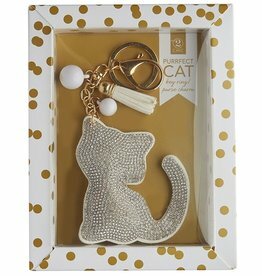 Bejeweled Cat Silhouette Keychain with Faux Diamond Crystals, Tassel, and Dangling Beads attached to Gold Key Ring in Gift Box. 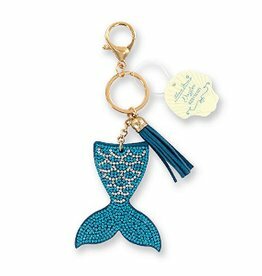 By Two's Company Fine Decorative Home Accents, Apparel and Gifts.